Saturdays Off the 405 offers the opportunity for attendees to enjoy music and stunning evening views from the Getty Center while featuring up-and-coming performers, along with DJ sets to open and close the night. 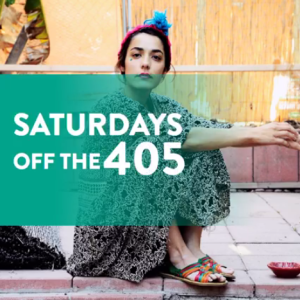 Saturdays Off the 405 kicks off this season on May 21 with jennylee. Best known as one-quarter of the acclaimed LA-based rockers Warpaint, Jenney Lee Lindberg’s new solo project takes her sound in a decidedly dark direction, toying with elements of ’80s goth rock interpreted with a languid, emotional edge. Within her lush soul-searching, jennylee offers a powerful, restless energy, transmitting the burning urge to dance. On June 18, the Getty Center welcomes Moses Sumney. At just 24 years old, Sumney, who makes a unique instrument of his voice, is an artist emer ging in a big way. By building up rhythms and beats through digitally layered and looped vocalizations, he creates a prismatic foundation for his breathy, intricately phrased singing that infuses guitar-based indie-folk with a honeyed soulfulness. Additional dates for Saturdays Off the 405 are July 9, July 23, August 27, and September 17. Stay tuned and check getty.edu/360 for lineup announcements. The Getty will also feature the return of Friday Flights this summer! 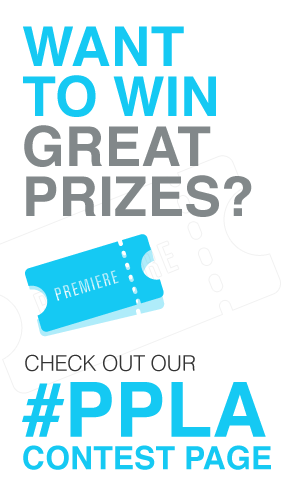 Each session of Friday Flights brings together a variety of Los Angeles–based creative thinkers working across artistic mediums for a vibrant evening of sounds and sights. An inter-disciplinary series of happenings spanning contemporary classical music, artist-made interventions, electronic music, sound-based installations, poetry, dance, film, and more spreads out across the Getty Center from galleries to gardens. This summer’s programs include cutting-edge electronic musicians—among them performances by Kaitlyn Aurelia Smith sound-tracking the Central Garden with a Buchla, a rare analog synthesizer; contributions by contemporary artists David Horvitz, Jim Drain, and Martine Syms; film programming with East-LA’s eclectic screening series Veggie Cloud; and much more. Dates for Friday Flights are June 10, July 15, July 29, and August 23.